The candidates for the Brooklyn District Attorney race gathered at St. Francis College in Brooklyn on Thursday for a forum hosted by criminal justice and civil rights advocacy groups, focusing on contentious issues revolving around criminal justice in the borough. 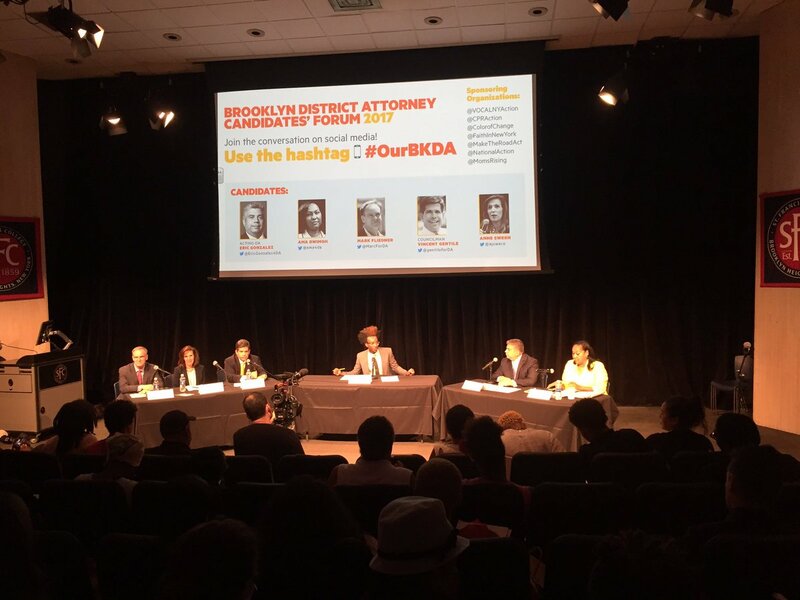 Five candidates offered their takes to an audience of community advocates and Brooklynites concerned about mass incarceration, police abuse, bail, and other contentious issues. The candidates present were Acting DA Eric Gonzalez, City Council Member Vincent Gentile, Ama Dwimoh, Marc Fliedner, and Anne Swern. Candidate Patricia Gatling, who attended a previous debate in June, was not present. 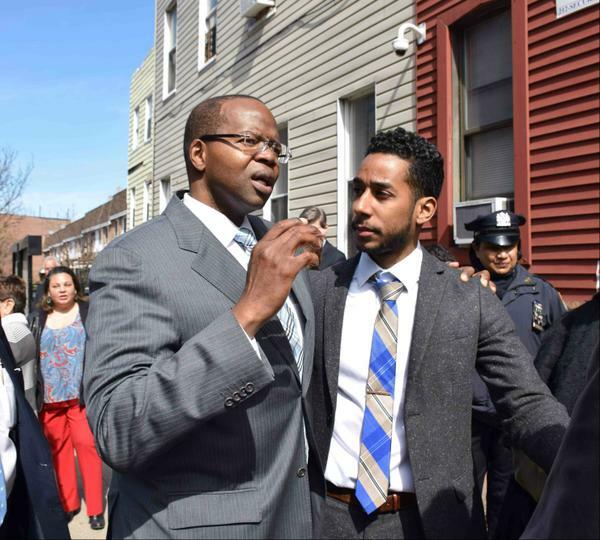 The presence of former DA Ken Thompson, who died in 2016 after a bout with cancer and for whom Gonzalez stepped in, hung above the forum throughout the night. Thompson had widely been praised as a reformer after replacing the controversial longtime DA Charles Hynes. Gonzalez, in his opening statement, framed himself as a continuation of Thompson’s legacy. Fliedner was formerly chief of the Civil Rights Bureau under Thompson; he left after a dispute over the handling of the Peter Liang case, in which an NYPD officer received no jail time despite being convicted of manslaughter in the shooting death of Akai Gurley, an unarmed black man. Fleidner jumped out of the gate with stinging criticisms of Gonzalez. “You cannot vote for acting District Attorney Eric Gonzalez into office,” Fliedner said, eliciting both claps and boos. “In the short time that he was in charge of that office, he’s committed more acts exhibiting a disregard for the rule of law, a lack of respect for victims, and out and out acts of corruption.” Audience members frequently and freely engaged with the candidates throughout the night, loudly calling them out on answers they deemed unsatisfactory or dishonest. Dwimoh, a former prosecutor under Hynes, also left the office due to a “difference in values” with the then-DA, she said. She emphasized “proactive justice,” meaning a focus on prevention rather than punishment, and “rebuilding trust between the community and law enforcement.” But she also erred towards a “tough on crime” mentality in some areas, saying that crime is going up in some neighborhoods and being the only candidate who didn’t support ending mandatory minimum sentences for gun possession. Swern, a former Assistant District Attorney (ADA) under Hynes who also has experience as a defense attorney, claimed her experience as the latter gave her a unique connection and empathy among the candidates for those on the other side of the justice system: the defendants. In her opening statement and throughout the night, she focused her argument on making the DA’s office more transparent and the DA him- or her-self more accountable. She said she would hire a statistician for her office to determine how actions and policies undertaken by the DA disproportionately affect people of color. City Council Member Gentile, who is term-limited from running again for his current position, framed himself as the “only independent person” running in the race. Gentile, who had a career as a prosecutor under the Queens DA rather than the Brooklyn DA, was referring to the fact that he was the only candidate at the forum who was not working at the DA’s office in the time period where numerous wrongful convictions occurred under Hynes, which were later uncovered and undone by Thompson. The candidates were all largely in agreement on many of the major, big picture issues: all candidates supported either diminishing or eliminating reliance on cash bail, which has come under intense scrutiny after young Bronx resident Kalief Browder committed suicide following a two-year stay on Rikers Island after not being able to post bail. All the candidates supported diminishing the use of broken windows policing, though they didn’t offer specific solutions, with the exception of Fliedner who noted low-level drug offenses and gravity knife offenses as two crimes that wouldn’t be prosecuted under his stewardship. The candidates also all stated their support for Brooklyn Borough President Eric Adams’ call for an independent commission into wrongful convictions, as well as for term limits of two or three terms -- there are currently no term limits for District Attorneys. The shouting matches, interruptions, and audience interjections mainly concerned the candidates’ records. The candidates routinely accused Gonzalez of malfeasance and not 'walking the walk,' as well as co-opting the legacy of Ken Thompson. Hertencia Petersen, the aunt of Akai Gurley, a young black man killed by NYPD officer Peter Liang in an apparently accidental stairwell shooting, rose to ask a question and accused Gonzalez of mishandling the Liang case. Liang was sentenced to five years probation and 800 hours of community service, a move that had been widely criticized by criminal justice reform advocates. Petersen chastised the DA’s office, then under Thompson, for failing to adequately communicate with the Gurley family during the legal process and for recommending that Liang serve no jail time, which the family only found out about in press reports. Defending himself, Gonzalez pointed to the fact that Liang had been convicted, and denied that the office had maintained inadequate contact with the Gurley family. “She’s upset because Ken Thompson recommended a no jail plea on Peter Liang,” he said. An audience member shouted to Gonzalez, pointing out that he had been Thompson’s “chief advisor” (Gonzalez was Chief Assistant District Attorney under Thompson). Gonzalez also received criticism for continuing to impose punishingly high cash bail despite his stance that its use should be diminished. “$500 is asked for bail for a homeless person who steals cheese, and the Assistant District Attorney responds to the defense attorney, ‘well, it was expensive cheese,’” said Swern. “We will never close Rikers Island,” she said, referring to the fact that many held at the jails there are pre-trial detainees unable to post bail. Fliedner said that if he is elected, his office would not seek bail “on cases where we’re not seeking jail,” and further reprimanded Gonzalez on his supposed failure on bail reform, citing a case where bail was set at $1,000 for a turnstile jumper. Gonzalez was also singled out on the issue of wrongful convictions -- since he worked for the DA’s office under Hynes -- despite the fact that all candidates with the exception of Gentile had worked at the Brooklyn DA office under Hynes in some capacity. In this regard, Gentile seized the opportunity to paint himself as the only candidate separate from the failures of the Hynes era. Concerning the spate of wrongful convictions, Gentile said this “all happened under the tutelage of Charles Hynes...and Eric Gonzalez is a creation of Charles Hynes. He spent most of his years as prosecutor under Charles Hynes and only three years under Ken Thompson.” He proceeded to say that he has “never gotten the answer” to his inquiries into the policies that led to the Hynes-era wrongful convictions. The public safety committee hearing was the penultimate executive budget hearing, with the finance committee set to finish the proceedings Tuesday before closed-door negotiations lead to a budget deal between Mayor Bill de Blasio and the City Council before the July 1 start of the new fiscal year. 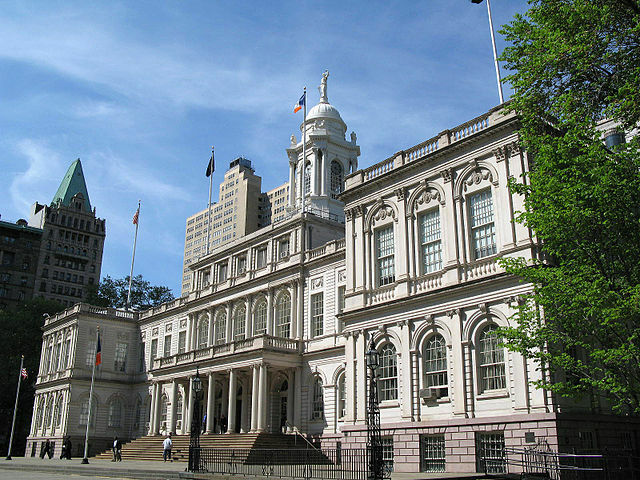 De Blasio’s preliminary budget, released Jan. 21, estimated $94 million would be allocated to the King’s County (Brooklyn) DA office, $57 million to Queens County, $10 million to Richmond County (Staten Island), $101 million to New York County (Manhattan), and $59 million to Bronx County. 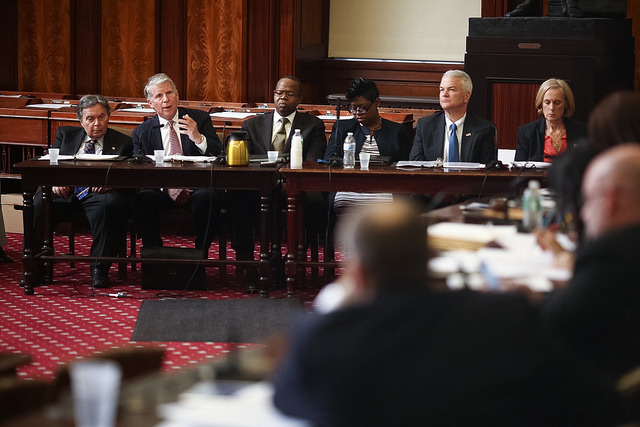 The five DAs presented additional funding requests during a preliminary budget hearing in March, after which the Council called on de Blasio to fully fund those budget needs in its response to his preliminary budget and listed public safety among its top eight priorities. 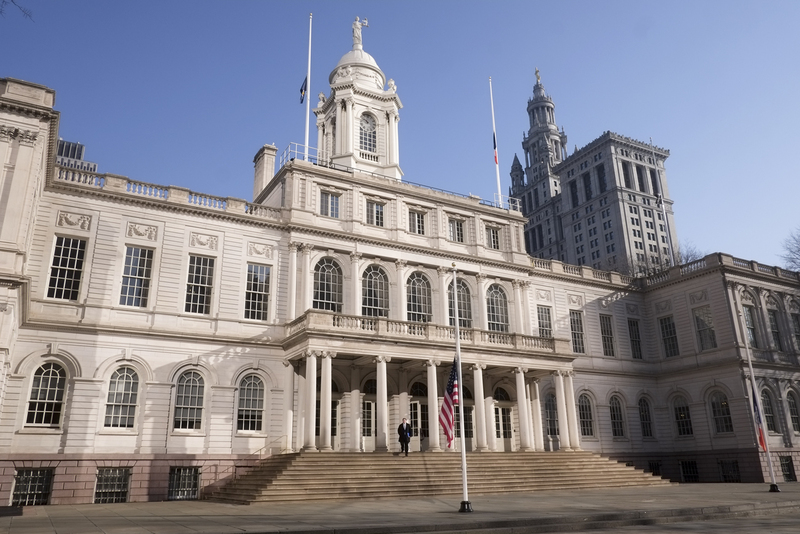 Of the five offices, New York County requested an additional $600,000, Bronx County $11.5 million, Kings County $1 million, Queens County $4.9 million, and Richmond $3.6 million. The Bronx request was so large because new DA Darcel Clark plans to open a new bureau on Rikers Island, as well as several other significant initiatives. In response to Monday's comments from the district attorney offices and Council members, mayoral spokesperson Monica Klein said in an emailed statement, "The administration is committed to appropriately funding the critical needs of our District Attorneys, and we look forward to working with the Council and DAs throughout the budget process. 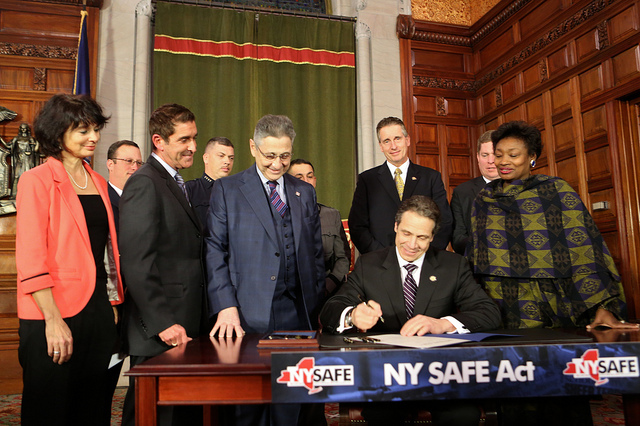 Mayor de Blasio has also invested in numerous initiatives to support our DAs' essential efforts -- including an additional $2 million per year to the Special Narcotics Prosecutor and $10 million to the Anti-Violence Innovation challenge -- and launched expansive initiatives aimed at reducing opioid misuse and overdose deaths across the City, in close partnership with local elected officials." 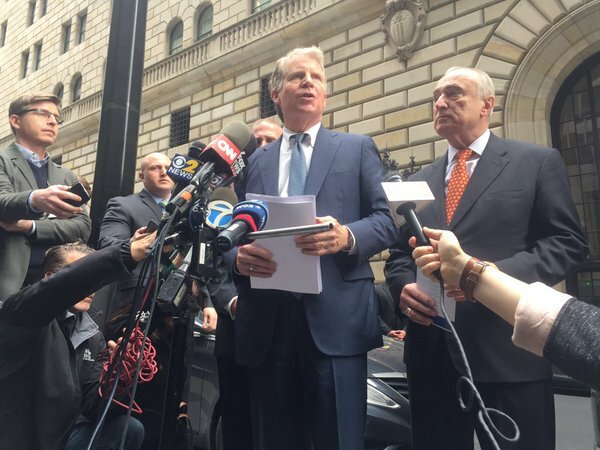 Manhattan DA Cy Vance said on Monday that additional funding would go toward the creation of an Alternative to Incarceration unit aimed at preventing low-level nonviolent offenders from facing jail time. Staten Island DA Michael McMahon, a Democrat who succeeded Republican Dan Donovan (now a member of Congress) as DA, said his predecessors “did not aggressively pursue” sufficient funding at City Hall. As a result, McMahon said his office is unequiped to combat Staten Island’s rising heroin overdose epidemic and domestic abuse incidents, and currently unable to finance a case management system. 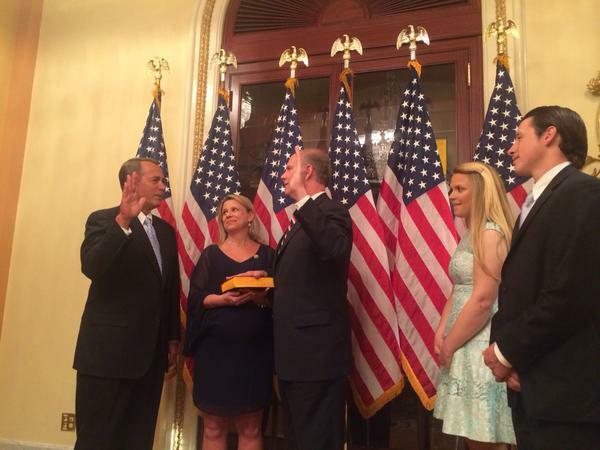 All five DAs are now Democrats, like de Blasio and 48 of the 51 City Council members. 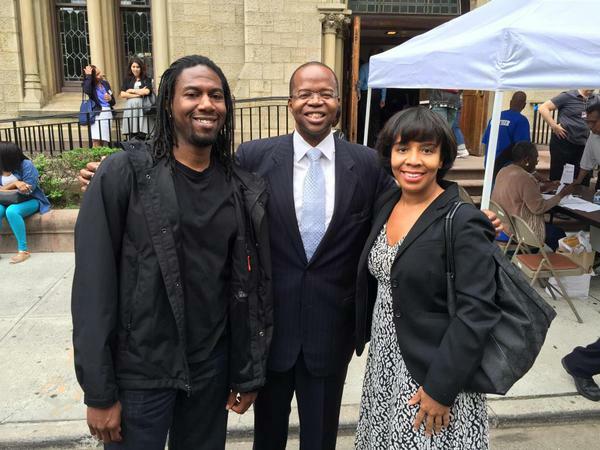 Brooklyn DA Ken Thompson, represented at the hearing by his chief of staff Leroy Frazer, and Queens DA Richard Brown, represented by Chief ADA Jack Ryan, both hope to direct additional funding towards increasing personnel and improving facilities.